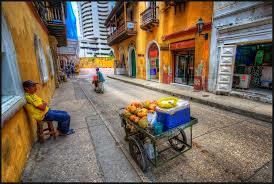 Cartagena de Indias, the BYOD walking tour. 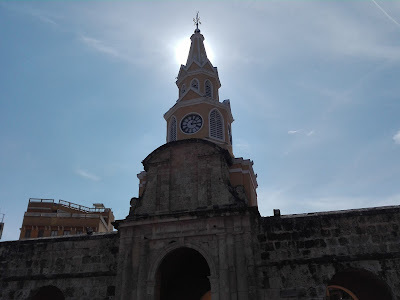 You will start a the Torre del Reloj, the city entrance and with the magic of the GPS triggered technology you will walk into the city at your own pace, knowing about the places you are going to be in. 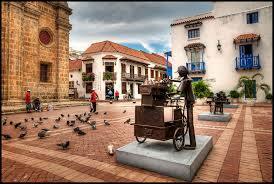 The walking tour will guide you thru la Plaza de los Coches, where you will know about the founder of the city, Pedro de Heredia and then you will go into the Portal de los Dulces and have a local sweet treat, or a coffee. 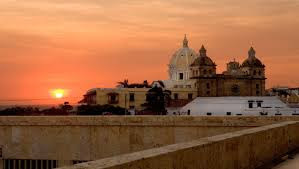 Then, La Plaza de La Aduana, where you will see why this city was so important for the Spanish crown, as well as for the British empire, pirates and corsaries. 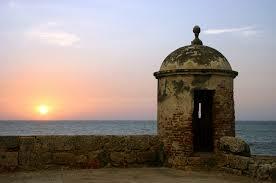 You then will be in front of the magnificent, Iglesia de San Pedro Clavér, and you will know more about this Jesuit priest, that served the africans that came to be sold as slaves. He became to be known, as “The slave of the Slaves”. 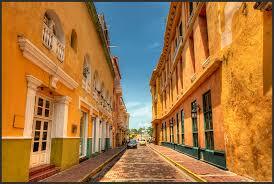 The tour will continue thru the “Callecitas de Cartagena”, the little streets of Cartagena, and you will hear about El Dorado, the mythical golden city, that made the Spanish come to this land by the thousands. 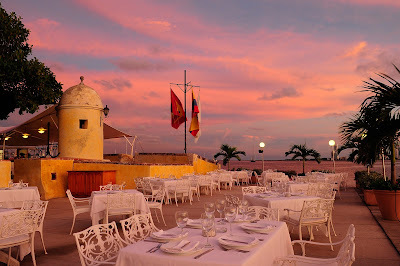 At the Plaza de Bolívar, you will know more about Cartagena and see the most famous house of the walled city, The Palacio de La Inquisición. Then get ready to meet the most photographed girl of the city, and also the biggest, her name is Gertudris, but is known as La Gorda de Botero. You are going to learn about why this is a Unesco World Heritage city and are going to be where to have some good Colombian juices, pastries and coffee. The tour finishes at the Parque Fernández de Madrid, where you can end the journey relaxing at the park. It can be downloaded in I Tunes or Google Play. The cost of the GPS Walking Tour is of US $2.99, and it takes around one to three hours to complete, depending on your pace and stops.